Last Thursday we were sitting around the TV hoping for some madness, but we had to wait till the weekend for real madness. The East region which was going to produce a great matchup in the “Mecca of Basketball”, has been a dumpster fire. 1 seed Villanova and 2 seed Duke are both eliminated from the tourney and the odds on favorite is probably a 8 seed Wisconsin. The miracle team from Michigan is the team of destiny in the Midwest, which has a chance to possibly advance to the Elite Eight or even possibly the Final Four. Kansas has looked like the best team in the tourney and has the outside chance to cutting the nets in Glendale next weekend. The only guy who has been all in on the 11 seed Xavier has been yours truly. Why not ride the hot streak and hope that their magical run continues in the West region. The South region has been chalk thus far, and look for it to continue, with North Carolina advancing to Glendale. With that being said, I was up and down with my upset picks last week, keep fading those picks to become rich and putting food on the table. 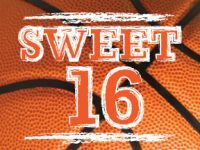 Enjoy the games today and tomorrow, I will have more on the tourney on Saturday, when the Elite Eight action gets going.